New York based multi-disciplinary experiential designer, visual curator, storyteller and creative strategist. 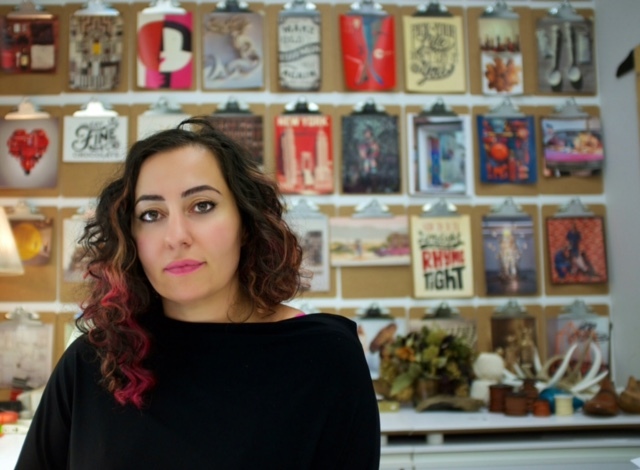 Samar Younes seamlessly merges the world of retail with art, architecture, craft and design, pushing the boundaries of artfulness in commercial and public spaces creating distinctive and compelling visual concepts. Raised In Beirut, Lebanon, Younes attended first attended the Lebanese Academy of Fine Arts studying architecture in Beirut before obtaining a BA (honors) in Theater Design from the prestigious Central Saint Martins School of Arts and Design in London, U.K.
With 18+ years experience in retail visual and architectural concept direction and execution, for global luxury and lifestyle brands, and an editorial advisory board member to vm and store design publications; she built a reputation for excellence and experimentation, creating the type of visual brand bond building that connect straight to the brand's heart . Younes's design approach blurs the line between the various aesthetic based disciplines by exploring them thru each other's lens, craft and method. For example, retail as art, or architecture as fashion, or fashion as design, etc. "Experiential installations & Windows in retail and commercial spaces is how I communicate stories to the world in a physical experience that the digital world cannot replicate. I aspire to engage people, in an emotional way to leave people fully immersed in a brand's experience where they are able to anticipate, participate and linger in various ways for a memorable, authentic and personalized brand experience. I work closely with the business leaders to ensure the brand's image is supporting their overall business strategy and building the brand's visual identity. This enables me to formulate a strategic, bespoke approach to create excitement, and drive traffic to generate brand demand, increased sales and social engagement. I thrive on collaboration, humor, curiosity and innovation and to perpetually think of ways to create excitement, drive social engagement and generate brand demand. I believe in that the perfect combination of art, craftsmanship and bespoke technology is what continually enables innovation and reinvention."